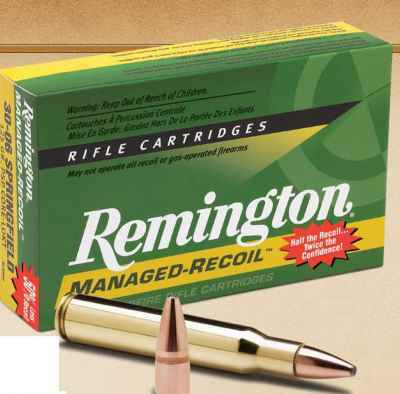 Remington® Managed-Recoil™ Point of Impact is nearly identical to full velocity loads. Point of Impact comparison at 100 yards. 30-06 Sprg. 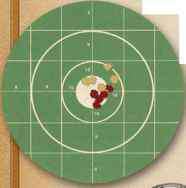 125-grain Managed-Recoil" | 30-06 Sprg. 150-grain PSP Core-Lokt May not operate all recoil or gas-operated firearms.